Staying healthy is important at any age, but postmenopausal women may want to steer clear of beverages with artificial sweeteners based on the findings of a new study. Researchers from the American Heart Association found that drinking diet soda, or any artificially sweetened drink, especially in excess, was associated with an increased risk of stroke for older women. To analyze the relationship between diet drinks and risk of stroke and heart disease, the researchers utilized data from the Women’s Health Initiative study, which tracked participants’ health for over a decade. The researchers found that drinking artificially sweetened drinks in excess -- or even more than one per week -- increased participants’ likelihood of developing heart disease or having a stroke. The risk doubled for women who were overweight. Women who consumed two or more artificially sweetened beverages per day were 23 percent more likely to have a stroke, and nearly 30 percent were more likely to develop heart disease. Overall, these women were 16 percent more likely to die from any cause and over 30 percent more likely to have a stroke due to a blood clot. The researchers hope that these results encourage more women to limit their diet beverage intake, and to choose water whenever possible. Artificial sweeteners have made headlines recently, as health experts continue to heavily research the area. Researchers continue to flip flop on the issue. There has been speculation about artificial sweeteners’ positive effect on weight loss, while other research has explored how they can actually create more fat. Most recently, researchers found that the sweeteners may be lower in calories, but they may also be toxic to the digestive system. 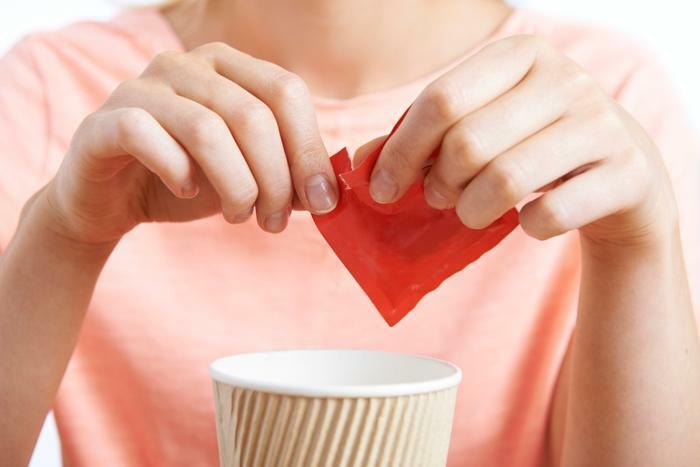 “This is further evidence that consumption of artificial sweeteners adversely affects gut microbial activity, which can cause a wide range of health issues,” said researcher Ariel Kushmaro.